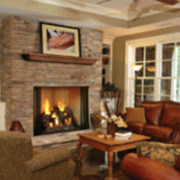 The convenience and warmth at the flick of a switch are just some of the reasons why so many Americans choose gas fireplaces. 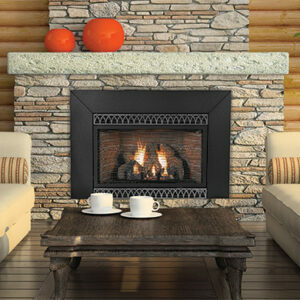 Whether traditional or contemporary, there’s a gas fireplace model available to fit your home’s personality. 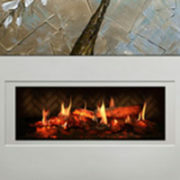 Rettinger Fireplace represents the industry’s highest quality gas fireplace manufacturers, and has carefully curated a superior selection of brands to choose from, including Mendota, Heatilator, American Hearth, Kingsman Marquis, European Home, Ortal, Valor, Solas Contemporary Fires, and more. 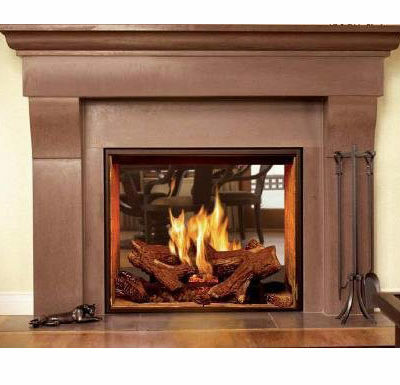 Traditional Gas Fireplaces are a great option for customers who have always enjoyed the natural look of a wood fire but are ready to move on from the storing and hauling of firewood each season. 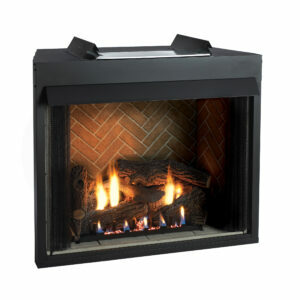 Rettinger Fireplace offers a full line of traditional gas fireplaces for both natural gas and propane fuel. 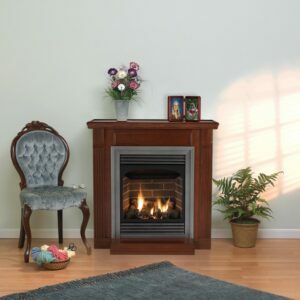 We recommend that customers considering a traditional gas fireplace review the Mendota Fullview Series, Marquis Bentley Series, and the Heatilator Caliber-NXT as our best-selling traditional gas fireplaces. 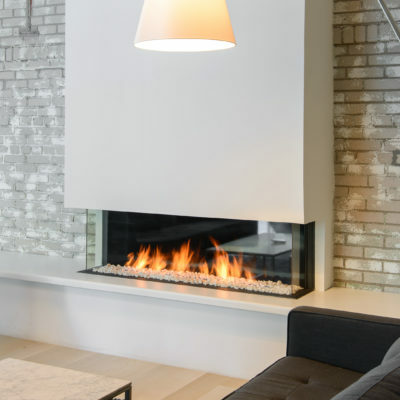 Contemporary Linear Gas Fireplaces are a popular category and offer a timeless design with a large variety of styles to choose from. 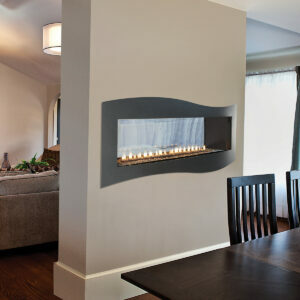 The growing attraction of linear gas fireplaces is a unique trend in South Jersey and Philadelphia- a trend that is certainly here to stay. 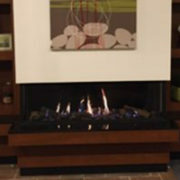 Our recently expanded showroom boasts nearly a dozen linear gas fireplaces with contemporary surrounds and concepts. 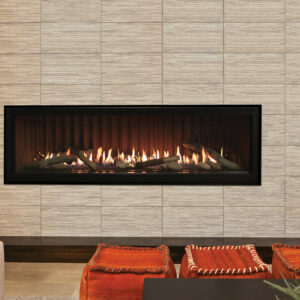 Top performing linear gas fireplaces include the Mendota Modern Linear (ML47/ML39), the Heatilator Crave, European Home and Ortal frameless fireplaces, and more. 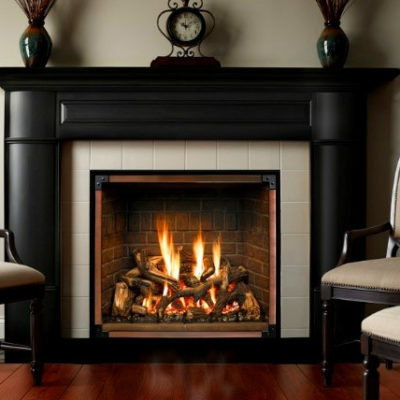 Natural Gas is an abundant and cost-effective fuel in South Jersey fireplaces, Greater Philadelphia fireplaces, and Jersey Shore fireplaces. 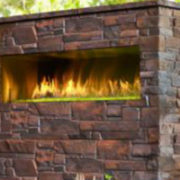 We proudly provide gas fireplace installations and gas fireplace service in Camden County, Cape May County, Atlantic County, Gloucester County, Burlington County, Cumberland County, Ocean County, NJ and Philadelphia / Mainline, PA.
Q1: Is it possible to vent? 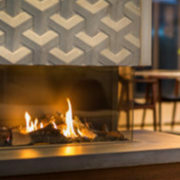 In certain applications, such as an interior wall or a basement, the vented vs. non-vented question is answered by shere possibility. 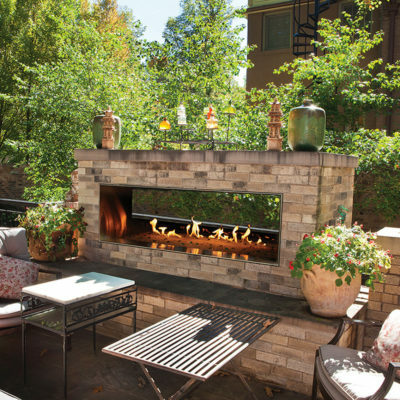 The typical size of a direct-vent chimney system is 6 ⅝” or 8” outside diameter, and clearance to the pipe must be maintained. 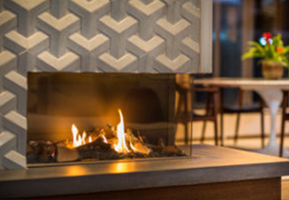 If you’re uncertain how to answer this question, don’t worry, Rettinger Fireplace can help you determine the right solution for your project with a showroom sales consultation and site inspection. Q3: Odors for vent-free? 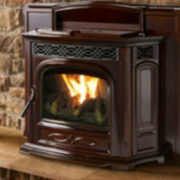 Vent-free product has an associated super-heated-air smell similar to that of your cook top stove. This product is not recommended for those with asthma or respiratory issues. And more! 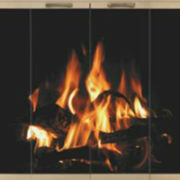 Contact us for more information about gas fireplaces.